Seton Hill Celebrates 100 Years! Founded by the Sisters of Charity, Seton Hill received its charter in 1918. Join us as we celebrate 100 years of progress, innovation, service, community and growth. What started as a small Catholic women's college has transformed into a thriving coeducational university with more than 2,000 students from across the U.S. and around the world, offering over 80 undergraduate and twelve graduate degree programs in a variety of disciplines. Throughout its history, Seton Hill has educated students to think and act critically, creatively, and ethically as productive members of society, committed to transforming the world. A Catholic university, Seton Hill embraces students of all faiths, and pursues its mission in the tradition of Saint Elizabeth Ann Seton, who pledged her own students: "I would wish to fit you for that world in which you are destined to live." Throughout the entire year of 2018, Seton Hill University will be hosting a variety of special events, exhibits, programs and more to celebrate the centennial anniversary of the charter. Check back for new events and other information throughout the year. Learn more about the fascinating history of Seton Hill with the timeline below. Interested in learning more about the University mission, traditions, Catholic Identity, and University President, Mary C. Finger? Visit the "About" section of the website. Find more Centennial information below! Are you a Seton Hill Alumni? 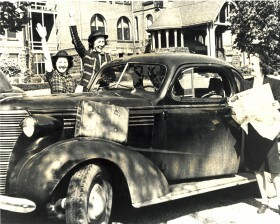 Visit the Alumni website to learn more about how you can participate in the Centennial Celebration! 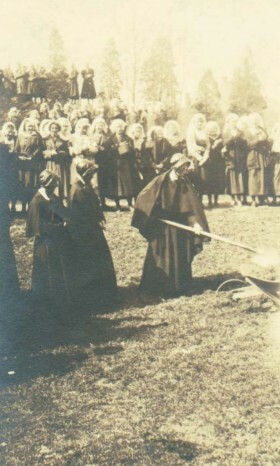 Under the leadership of Sr. Francesca Brownlee, Seton Hill College receives its charter as a four-year institution of higher learning on June 3, 1918. 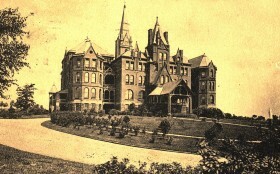 The first classes were held in the Administration Building, constructed in 1889, and continue today. 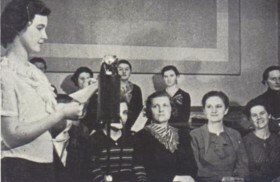 At a time when women’s colleges were thought to be mere finishing schools, Seton Hill’s academic standards brooked no compromise with a curriculum that touched on all endeavors of knowledge. 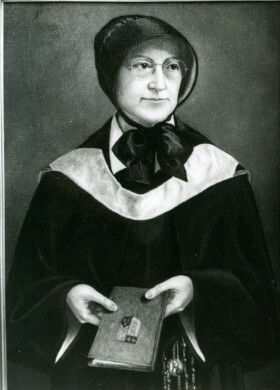 Mother Mary Joseph Havey is appointed as the College’s first president. 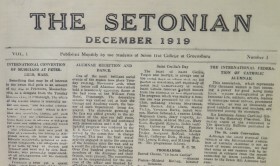 During her tenure, Seton Hill grew significantly in its infancy, receiving a special mention from the Pittsburgh Press. 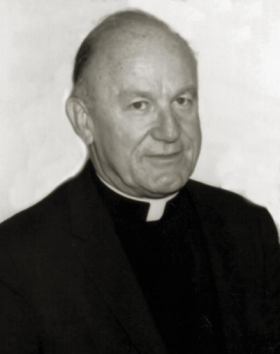 “If the management of Seton Hill find a way of doing things that is better than their present method they will replace all of that method or any part of it without scruple, for they are bound by no traditions and they fear nothing but God’s disfavor and the closed mind." The first issue of The Setonian – the Hill’s student newspaper – is published. 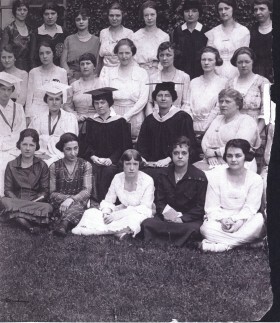 Seton Hill’s first degrees, both Bachelors of Music, are conferred in June 1919 to Othelia Averman Vogel and Maria Caveney Coolahan, former students of Seton Hill’s Conservatory of Music. They gain notoriety in Pittsburgh as esteemed musicians and pianists having returned from travels in Europe to study with some of the finest pianists on the continent. 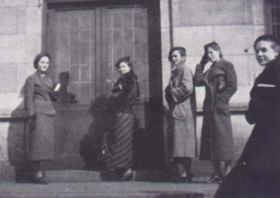 Three members of the Class of 1920 insert “Lowe Hall” into the text of an ad placed by the Duquesne Construction Company in the Setonian newspaper in honor of Mother Aloysia Lowe. Triumphant yet apprehensive, the young women confide in Father Sullivan what they did. He replies, “All right; now we’ll clinch it,” and proceeds with inscribing the new name on a plaque for the building. On June 8, 1920, the first Senior Ivy Planting for the west wall of Lowe Hall and the first Junior tree planting takes place. Seton Hill installs Mother Mary Raymond Creed as the Second President of the College. Under her leadership, the College increased its assets from $500,000 to more than $2 million dollars, constructed two new residence halls and doubled its library holdings. 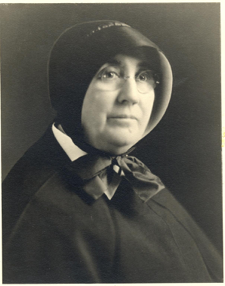 Mother Mary Joseph Havey sends six Sisters of Charity to assist the Sisters of the Holy Family in New Orleans during the summer of 1921 with preparing the novitiates for careers in teaching throughout the city’s segregated school system. The first year is met with such success that the partnership continues for nearly thirty years. 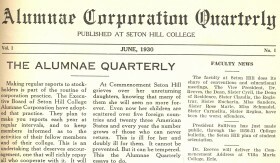 The early graduates of the College establish the Seton Hill Alumnae Corporation. Their first act of business is to host a Thanksgiving Eve Ball to raise scholarship funds for Seton Hill College. Over 500 guests attend the event in the William Penn Hotel Ballroom to build scholarship support for Seton Hill women. 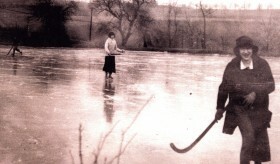 Students enjoy ice skating and hockey on Lake Regina located at the bottom of Seton Hill Drive where wetlands are found today. Seton Hill installs Mother Rose Genevieve Rodgers as the third president of Seton Hill. 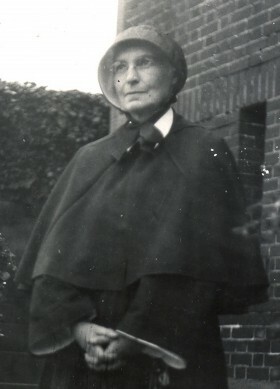 She is also the last college president to serve concurrently as Mother Superior to the Sisters of Charity. 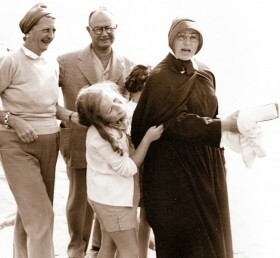 She served as Mother Superior until 1930 and then again from 1936 until her retirement in 1939. 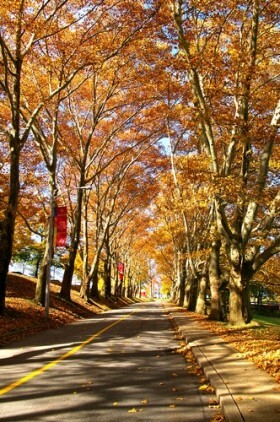 The Sisters plant 109 sycamore trees along both sides of the University’s entrance drive; their branches now form a leafy archway from the bottom of the hill to the top. A second student residence hall, Canevin Hall, is opened. 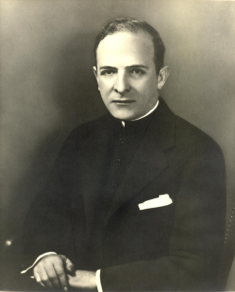 The building is named for Archbishop J. F. Regis Canevin, Bishop of Pittsburgh, who supported and encouraged the Sisters in their pursuit of a charter for Seton Hill College. Seton Hill installs Rev. 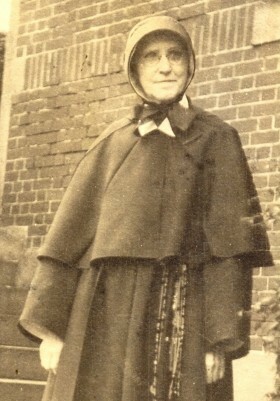 Daniel Richard Sullivan as fourth president, the first president not to come from the ranks of the Sisters of Charity. Father Sullivan composes the words to Seton Hill’s Alma Mater and selects the school’s motto, “Hazard Yet Forward;” also the motto of the Seton family crest that dates back to the twelfth century. The school’s colors, crimson and gold, are also the Seton family’s colors. 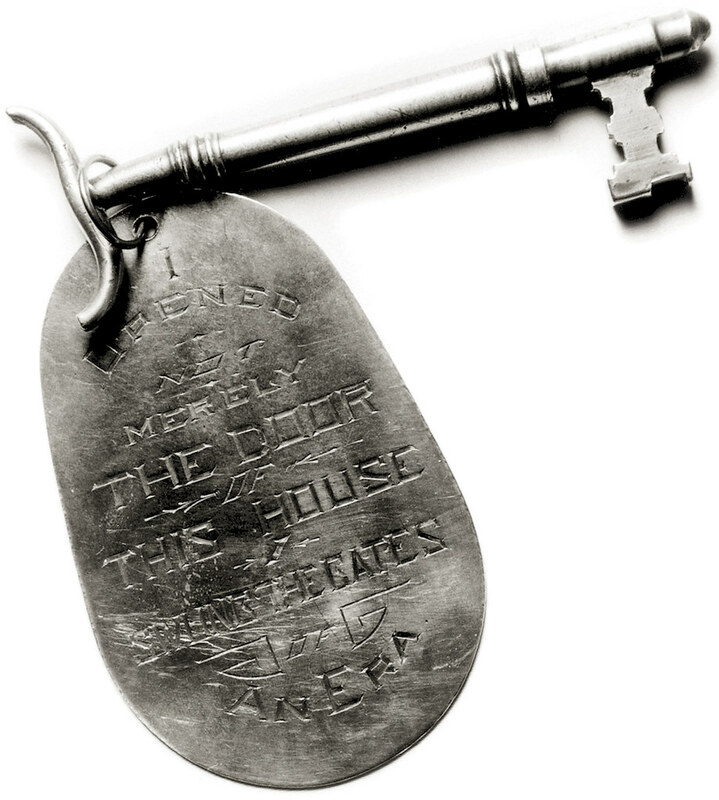 "I opened not merely the door to this house. I swung the gates of an era." Sister Florence Marie Scott graduates from Seton Hill in 1926, earns her master’s of science degree from Columbia University in 1927, and her doctorate in 1935. 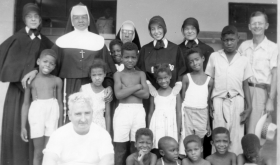 For more than thirty years, Sr. Florence Marie would spend her summers at the Woods Hole Marine Biological Laboratory in Woods Hole, Massachusetts. 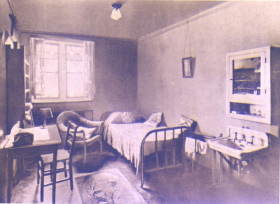 St. Mary Hall becomes the home of the Home Management House, offering students practical experience in running a home and taking care of children under the leadership of Sister Rose Angela Cunningham. President Sullivan assists in founding a debate club on campus, which gains notoriety as the young women match wits with students from Harvard, Oxford, Cambridge, and St. Andrew's in Scotland. Designed in a Norman Chateau style, Sullivan Hall contains a gymnasium and swimming pool. Through the years it has also housed a bowling alley, student lounges, student club offices, weight rooms, laundry rooms, athletics offices, cafes and the campus bookstore. 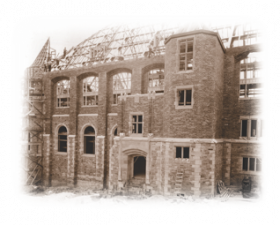 It was originally named the Activities Building until was later renamed in 1947 in honor of Seton Hill’s fourth president, Rev. Daniel Richard Sullivan. The first Alumnae Corporation Quarterly, a newsletter for Seton Hill alumni and friends, is published. Father Sullivan’s final act as president of Seton Hill is to develop a highly-regarded curriculum for honors students that endures today. 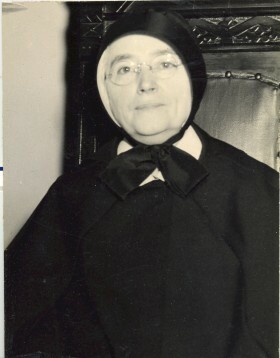 Among the program’s first graduates is 1932 graduate and seventh president of Seton Hill, Sr. Mary Thecla Schmidt. Seton Hill installs Rev. James A. Wallace Reeves as fifth president of Seton Hill after the death of President Sullivan. 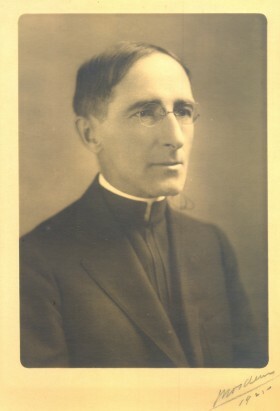 Father Reeves formerly served as a member of the faculty and Vice President, overseeing the educational activities of the College. Seton Hill trains student teachers under a cadet system that requires them to teach for at least a year and graduate within five years. The program begins under the care of Helen Schmaedel, chair of the Education department, and sends students to various public and parochial schools throughout the region. Sister Maurice McManama, a professional psychologist, begins her more than 40-year teaching career at the college. 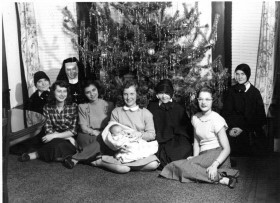 The tradition of Christmas on the Hill began in the 1890s when young women attending St. Joseph Academy, a predecessor to Seton Hill, could not return home for the winter recess. 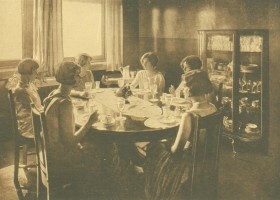 The Sisters would break from their routine of dining separately from the academy women and personally serve a prepared holiday meal in the student dining room. This 128-year old event remains a highlight of the student experience and is a memory treasured by all alumni through the years. 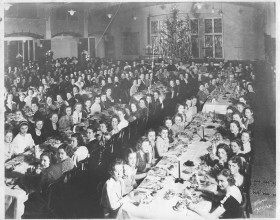 The photo (pictured left) features the students of 1938 attending Christmas on the Hill in Lowe Dining Hall. 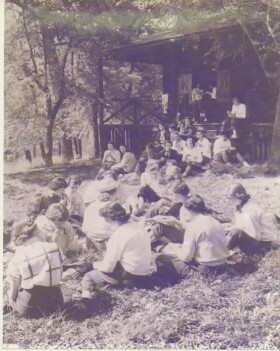 Maryglen Cabin, a grove of trees located at the northwest corner of the campus behind Brownlee Hall and named in honor of Mother Claudia Glenn, was the frequent setting for picnics, corn roasts and other social gatherings. 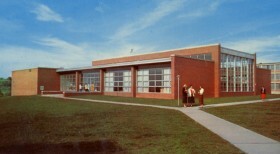 It was taken down in 1965 to accommodate the construction of Brownlee Hall. 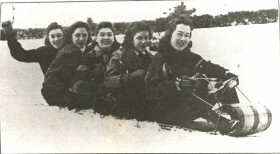 Students enjoy a toboggan ride on the Hill. 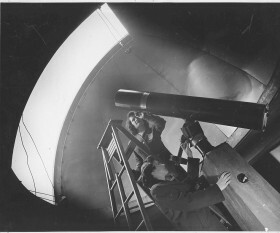 A campus observatory was opened as a result of generous gifts from the classes of 1940 and 1943. 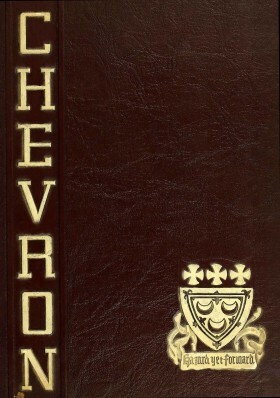 It was later replaced by Reeves Memorial Library and Havey Hall in 1958. 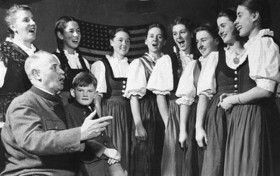 As World War II rages against Hiltler's Germany, the Von Trapp Family Singers perform a concert on February 21 at Seton Hill. 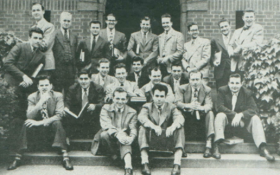 In 1946, the Sisters and faculty at Seton Hill welcome 40 male World War II veterans who are required to live off-campus. While legal constraints prevented the College from conferring degrees to the veterans, many used their credits to enroll in other institutions and pursue careers in business, government, medicine, science and engineering. 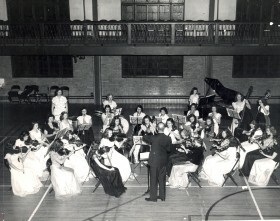 Seton Hill's College Orchestra performs in Sullivan Hall. The death of Father Reeves prompts the initiation of Seton Hill’s first public fundraising campaign (totaling more than $500,000) for a free-standing library to be named in the late president’s memory. Alumni surpass their goal of $100,000 and rally to support half of the building’s cost. 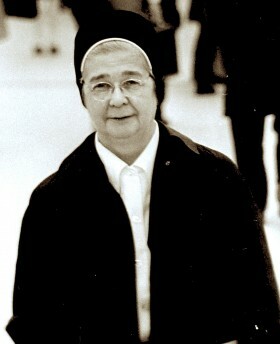 Mother Maria Benedict Monahan serves as interim president following the death of Father Reeves. Msgr. William Granger Ryan is inaugurated as the sixth president of Seton Hill. A celebrated scholar of modern languages, the Pittsburgh Post-Gazette refers to him as “a tall, lean mixture of Irish charm and French elegance.” His presidency is marked by the post-war boom that includes record enrollments and significant physical expansion of the College. 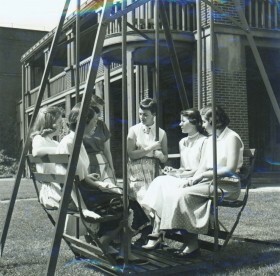 The swings at Seton Hill have been a feature of the campus since the days of St. Joseph's Academy. They have been the setting for conversations, laughter, and reflection for many decades. Classes have frequently met on and around the swings lending themselves to offering a warm and intimate environment that has been the hallmark of a Seton Hill education. They continue to provide a quiet place for individual and group study and are a great place to relax and enjoy the weather and the many views throughout campus. Sr. Maurice McManama, chair of the Psychology Department, and Sr. Rose Angela Cunningham, chair of the Home Economics Department, open a nursery school known today as the Child Development Center. 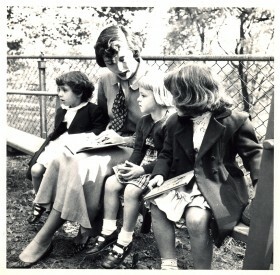 Pictured here with the children is Suzanne Lauble O'Neill, B.S. class of 1952.